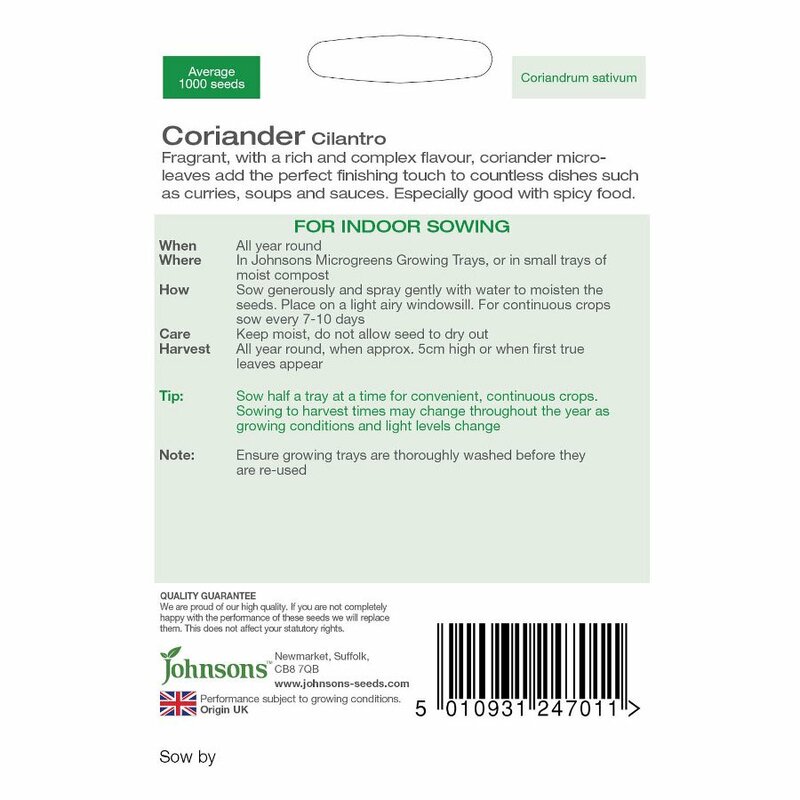 With Johnson's Microgreen's seeds, you can have fresh, aromatic and citrusy tasting coriander/ Coriandrum sativum in just 10-16 days. These Microgreen seeds will produce your very own fragrant, rich and complex coriander micro-leaves that will be the perfect finishing touch to countless dishes such as curries, soups, sauces and many spicy foods. 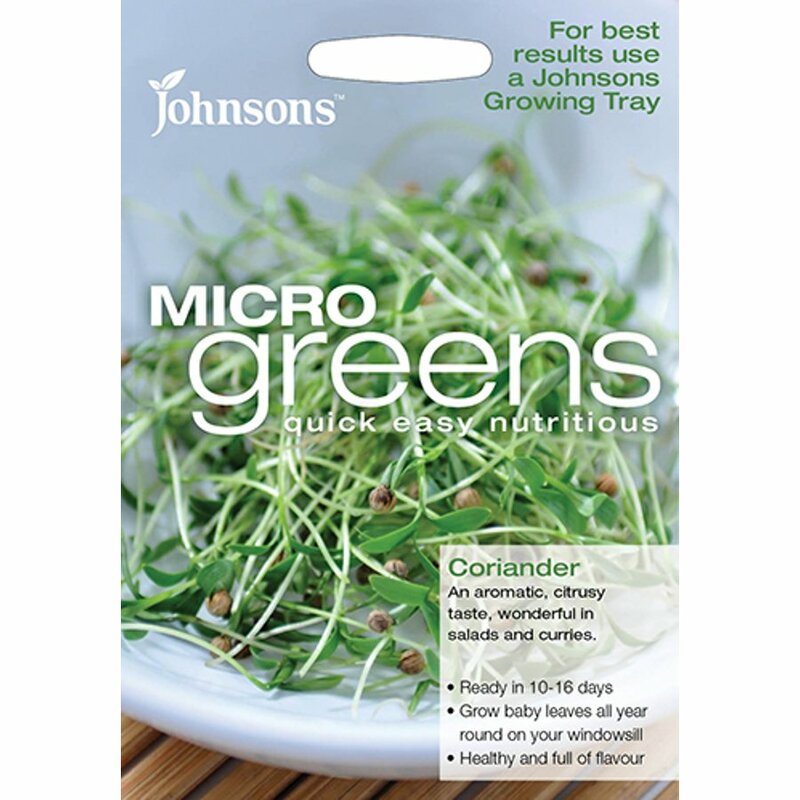 Use with Johnson's Microgreen's Growing Tray to get the best results. The Johnson's Microgreens Seeds - Coriander product ethics are indicated below. To learn more about these product ethics and to see related products, follow the links below. 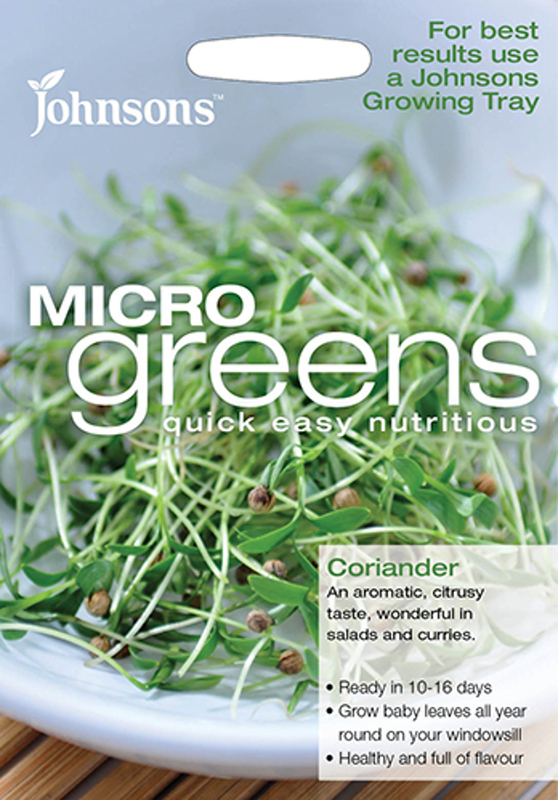 There are currently no questions to display about Johnson's Microgreens Seeds - Coriander.